Better understanding of users by live Usability Test observation. A usability test brings your users into play. Our experts observe and interview your users, while they are working on typical tasks. That way we are able to uncover usability weaknesses in your application. In a usability test, we observe and interview users from your target group, while they are working on typical task scenarios for your product. It is very important that the test participants are fully representative of the users of your target group. Our large participant panel enables us to recruit a broad range of test participants (e.g. average German online shopper, member of a special occupational group). 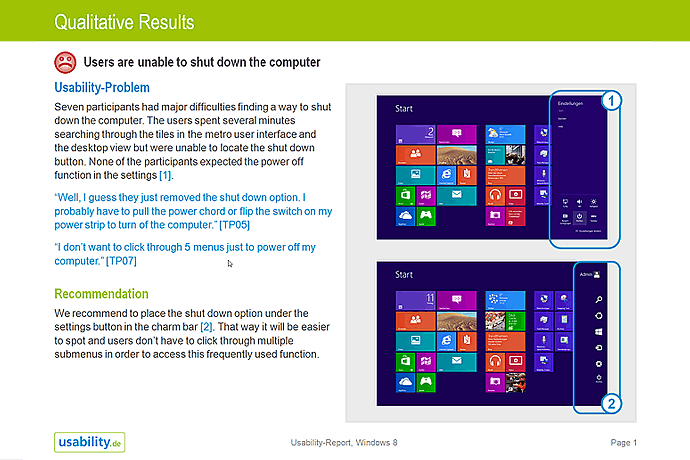 The test itself is moderated by an experienced usability expert. By observing the participants, we are able to identify usability problems and analyze how the users experience your product. Additionally, unconscious cognitive processes can be visualized with the help of eye tracking. You are welcome to observe the test sessions live: You experience your users while they are interacting with your product, listen to their unfiltered opinions and are able to see the application through your users’ eyes. How and where do we test? 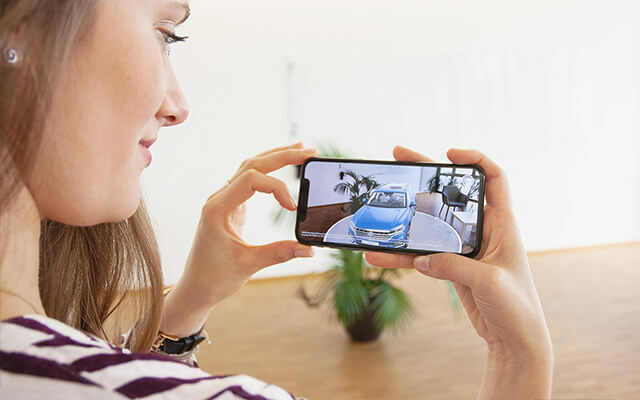 We are able to carry out a usability test almost everywhere: In our fully-equipped usability lab, or with the help of our mobile usability lab, in the field (e.g. client’s office, a user’s home). All over Germany or even internationally in cooperation with our partners. 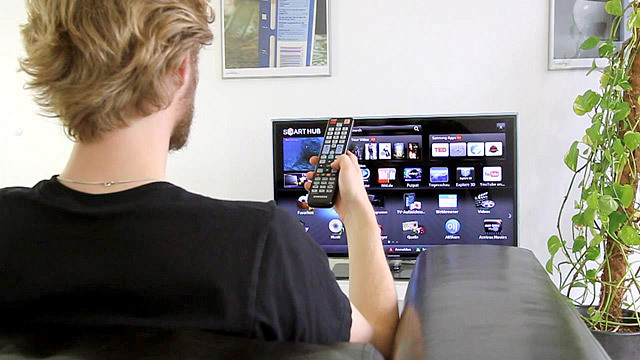 Test sessions can also be conducted location-independent as remote test sessions. This makes sense, if the aim of the test is to observe the user in his home environment or at his workplace. It goes without saying, that you are invited to observe the test sessions live. 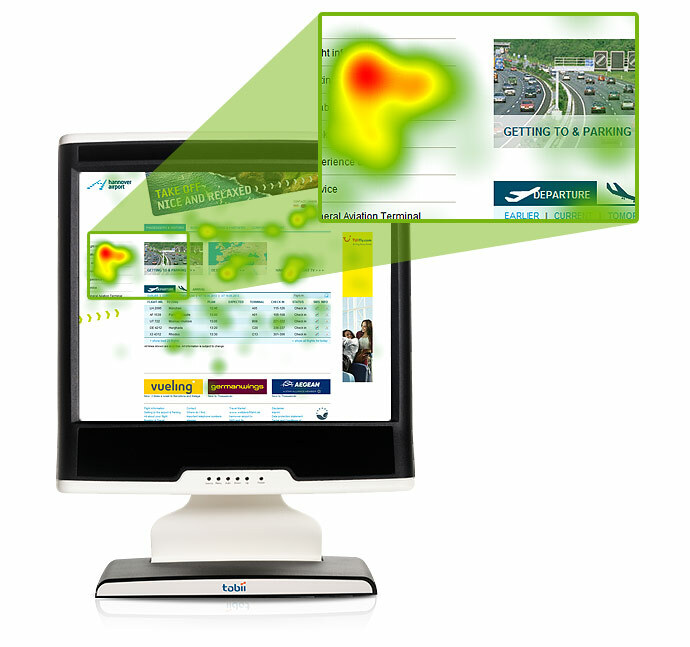 The use of eye tracking during a usability test generates valuable additional data. While the test participant is working on a task, e.g. ordering a product, our modern eye tracker captures the user’s gaze. That way we are collecting the users’ statements and objective eye gaze data. Both the qualitative and the quantitative results are analyzed by our experts. The graphical analysis of the gaze patterns (e.g. 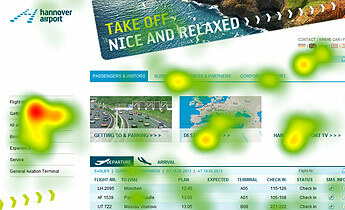 heatmaps or scan paths) visualizes how the participants perceived your product. More information about Eye Tracking and our Eye Tracking Video. What can we find out with a Usability Test? Are the users able to solve core tasks without experiencing problems? Can important information be found easily? Is the content comprehensible and well-structured? 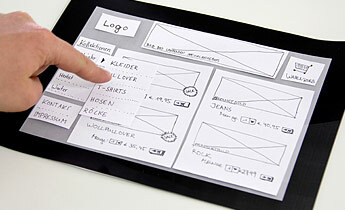 Does the interface guide the user well through specific processes? Are there any parts in the interface that cause the users to fail (possible termination point)? Is it fun to use the application/the product (joy of use)? When do we recommend a Usability Test? Usability tests are a valuable tool at any point in time during the development process. The collected user feedback can be used to verify subjective opinions and assumptions and thus save time. We are able to gather valuable user feedback on the information architecture based on as little as early mockups or interactive prototypes. By testing well before the implementation, you can ensure that usability problems can be solved easily, and guarantee a higher degree of usability in your product. Furthermore, time-consuming and expensive post-launch revisions are avoided. Existing products can also be improved further by investing in usability testing: Before carrying out a redesign or revision of your product, a usability test helps to find out where you currently stand in terms of usability. That way you receive an objective and solid basis for prioritizing your further decisions: Which parts are already working well for your users and can be kept and which parts need to be changed? You receive insights into how real users interact with your website. You will receive all results and recommendations for further improvement within 1-2 weeks. The highlight video helps to confirm project stakeholders' assumptions or prove them wrong. In principle, all technical products can be tested even during early stages of development (e.g. 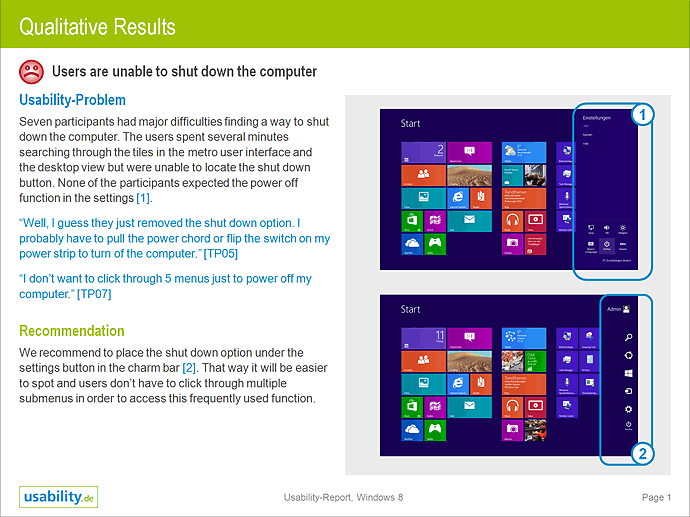 using static screens).